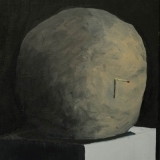 An Empty Bliss Beyond This World is ranked as the best album by The Caretaker. Members who like this album also like: Helplessness Blues by Fleet Foxes, Deathconsciousness by Have A Nice Life and Halcyon Digest by Deerhunter. Related links: top tracks by The Caretakertop tracks of the 2010s, top tracks of 2011. This is wonderfully spooky and darkly elegant. Nothing exceptional here... the production is awful and I'm not talking about the intentional static sounds but mainly the tracks transition and the post-production. This concept could have easily give a better experimental dark ambient album. All work and no play makes Jack a dull boy and so on.